Taken from the Number 1 album ‘Who Built the Moon? ', today Noel Gallagher's Flying Birds have unveiled the video to latest single If Love Is the Law. Taking on the mammoth task of creating a video to each track on the album, all of which will form part of a full length movie with dialogue and live performances, director Mike Bruce has achieved a splendid result. Speaking about the video he goes on to say "If Love Is The Love is the fifth video of a sequence of seven music videos all of which comprise a chronological story line about two outlaws who meet and fall in love. As a whole the videos will eventually be released as a film entitled Stranded On The Earth complete with dialog sequences and live performances. The concept came from a series of discussions I had with Noel over the course of a couple months leading up to the release of Who Built The Moon?. When Noel sent me his new album I knew I wanted to do something out of the ordinary, something were not used to seeing in a music video format. If Love Is The Law serves as both a video for the latest single from Who Built The Moon? and as a trailer for the film and whats to come." Take a watch for yourselves below. 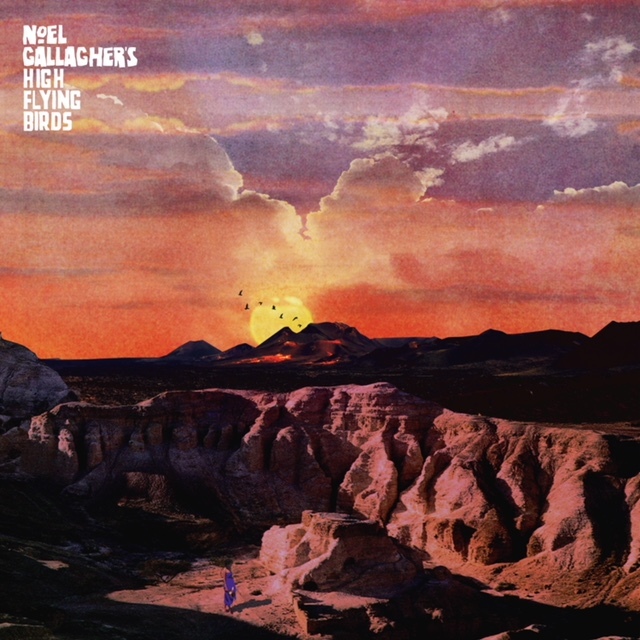 ‘Who Built the Moon?’, the third album from Noel Gallagher’s High Flying Birds is available now on Sour Mash Records.